Our research group integrates field studies, molecular and population genetics, and quantitative modeling tools to understand how wild animal populations — and their associated communities and ecosystems — respond to human-caused global changes. We work with a wide range of species and ecosystems around the world. Working across disparate disciplines, we aim to generate and apply the highest quality ecological science to help solve problems in wildlife conservation. 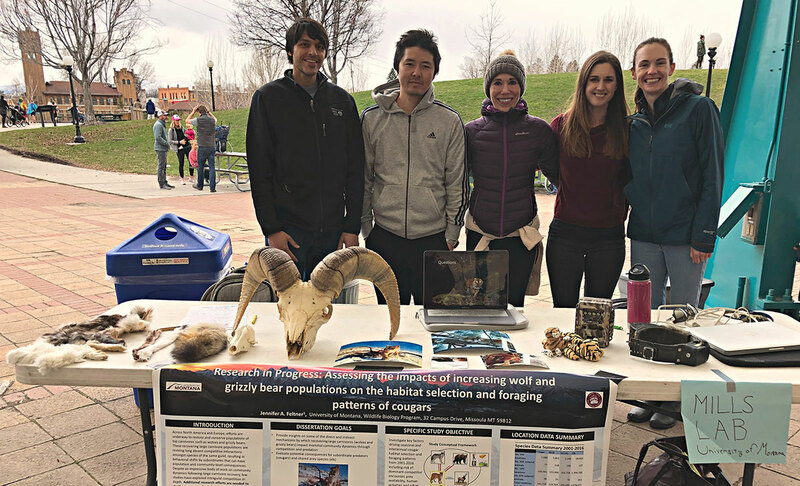 Last week on February 28 and March 1 in Helena MT, the Mills lab took the annual Montana Wildlife Society Conference by storm (despite an actual raging blizzard outside!) 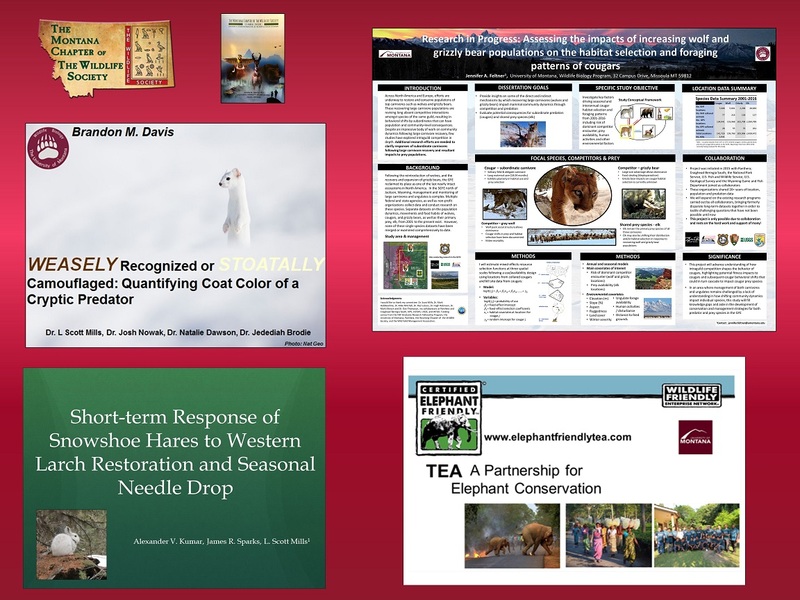 with four individual presentations on weasels, snowshoe hares, cougars and Asian elephants.